Amanda Wint is a speech-language pathologist in Pittsburgh, PA. Practice Type: • Elementary School Practice Areas: • Speech Language Pathology • Speech Therapy Take the next step and contact Amanda Wint for a consultation in Pittsburgh, PA or to get more information. Andrea Malone is a speech-language pathologist in Pittsburgh, PA. Practice Type: • Hospital Practice Areas: • Speech Language Pathology • Accent Modification • Swallowing disorders Take the next step and contact Andrea Malone for a consultation in Pittsburgh, PA or to get more information. Roxann Gross is a speech-language pathologist in Pittsburgh, PA. Practice Type: • Eye Ear Institute Practice Areas: • Speech Language Pathology • Swallowing disorders Take the next step and contact Roxann Gross for a consultation in Pittsburgh, PA or to get more information. Danielle Columbe is a speech-language pathologist in Pittsburgh, PA. Practice Type: • Hospitals Practice Areas: • Speech Language Pathology • Speech Therapy • Swallowing disorders Take the next step and contact Danielle Columbe for a consultation in Pittsburgh, PA or to get more information. J. Yaruss is a speech-language pathologist in Pittsburgh, PA. Practice Type: • Office Practice Areas: • Speech Language Pathology • Fluency and fluency disorders Take the next step and contact J. Yaruss for a consultation in Pittsburgh, PA or to get more information. Michelle Parfitt is a speech-language pathologist in Pittsburgh, PA. Practice Type: • School Practice Areas: • Speech Language Pathology • Aural (re)habilitation • Speech Therapy Take the next step and contact Michelle Parfitt for a consultation in Pittsburgh, PA or to get more information. Kayla Thornburg is a speech-language pathologist in Wexford, PA. 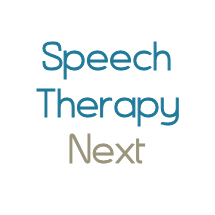 Practice Type: • Speech-Language Treatment Center/Clinic Practice Areas: • Speech Language Pathology • Speech Therapy Take the next step and contact Kayla Thornburg for a consultation in Wexford, PA or to get more information. Victoria Scharp is a speech-language pathologist in Lower Burrell, PA. Practice Type: • Outpatient Rehabilitation Center Practice Areas: • Speech Language Pathology • Speech Therapy Take the next step and contact Victoria Scharp for a consultation in Lower Burrell, PA or to get more information. Mary Derro is a speech-language pathologist in Greensburg, PA. Practice Type: • Elementary School Practice Areas: • Speech Language Pathology Take the next step and contact Mary Derro for a consultation in Greensburg, PA or to get more information. Jill Gilarno is a speech-language pathologist in Beaver Falls, PA. Practice Type: • Office Practice Areas: • Speech Language Pathology • Speech Therapy Take the next step and contact Jill Gilarno for a consultation in Beaver Falls, PA or to get more information.